Venus in Libra – Venus represents the beauty and our feminine side. To know more about how our love life will be, it is important to know where this planet is positioned on our birth chart. Now, get to know more about Venus in Libra. Venus is the very ruler of Libra and air is its element (just as Gemini and Aquarius). This type of combination is what in Astrology we call “in domicile”. It is always good when the star sits on its own regency, as it happens to Venus in Taurus too. 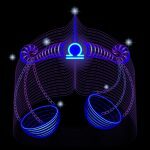 This means that Venus is in a comfortable place and will create very harmonious energy to those people. As Libra pursues balance, they will be well balanced in their love life. They do not like gross deeds or people who speak loudly. Anything that might disturb the peace of the environment in which Venus in Libra is, will be eliminated promptly. Libra is one of the most beautiful signs that exist, artistically speaking. Then the strength and beauty of Venus will be highlighted. These people will be very beautiful physically and more than beautiful, will have a special charm. Quality clothes, unforgettable perfumes and elegance are items that they will surely own. And just as they are, they value this kind of more refined beauty in the other. Then they will attract people equally beautiful and sensitive to subtlety. It is true that Venus in Libra can be a bit frivolous and too enchanted by what is external. But, do not think they only enjoy a pretty face. They also need intellectual identification with the one they are interested. Generally, the air signs have a sharper intelligence. Venus in Libra will be no different. These people like to be surrounded by people who offer them this pleasant interaction and feel that they both speak the same language. They love any kind of art and will be interested in further studying fine arts for example. They know a little politics and will debate about it. Understand that it will be very difficult for Venus in Libra not to know anything, even if it is a bit of each. And they expect the partner to follow them in the same rhythm. Social life will be very important for this Venus. They like to attend parties, see and be seen. When they are proud of their partner, they want to show others the precious jewel they have at home. But they can get lost in their sea of ​​indecision. It is that Libra is the sign of doubt. And, as they often think a lot, they can navigate their opinions somewhat indefinitely. They are also very influential. With this, today they may think that they love you. But next week, in a conversation with a friend, they already think they do not love you that way. And Venus in Libra has this thing to not value what they have because the ideal seems more exciting. They excel at the art of flirting and will be doing it almost daily. With this, they can let themselves be carried away by the possibility of a new love and forget what awaits them at home. They are known for collecting lovers and the whole experience leads them to excellence. Their sexuality is well developed and they know how to give pleasure in bed. They are sensitive to the needs of the partner and everything that the planet of beauty and luxury Venus could teach, was already born with them.